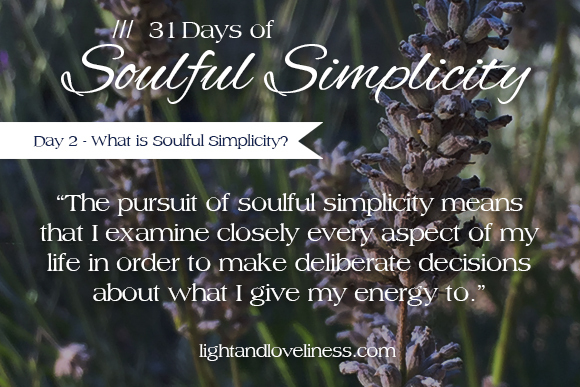 This is day 2 of Soulful Simplicity, a 31-day series through the month of October! If you missed the first post in the series, you can check it out here. Thanks for taking the time to spend a few minutes here. You get up every day. You go all the places, do all the things, chase all the kids, make all the meals, sort all the laundry…and drop into bed every night, depleted, exhausted, and wishing that there were some way to actually recharge or refresh in time for the rat race that will begin again tomorrow. True rest is what you long for, but you are resigned to the fact that it just won’t happen like that. You know you will wake up tired, and you will begin a new day with a mostly empty tank, wishing for relief that never seems to come in a satisfactory way. I know way too many people who operate on mostly empty far too much of the time. I was one of those people for a number of years, and I was well acquainted with eyes that watered often because they were just so tired. Even more than my physical exhaustion, my soul was curled in around itself, deeply burdened with anxiety, fear, and the wounds I carried with me, keeping me preoccupied with trying to keep my head above water—desperate for rest that I couldn’t find anywhere. 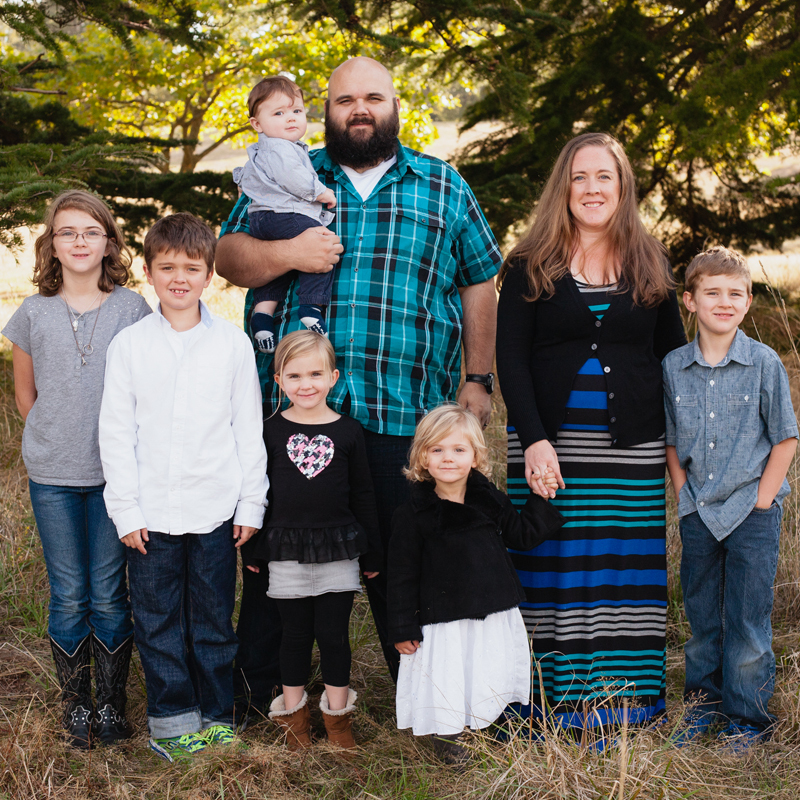 My home outwardly reflected my inner struggle, and just like I couldn’t seem to get past the hard inner things, it was extremely difficult for me to feel like I was making any progress in the basic household areas either. I have come to believe that there is no space—home space or heart space—that is completely unaffected by the things that are hidden away in forgotten corners or buried deep in closets you don’t want anyone to open. Clutter (spiritual or physical) is never a static entity. It is a sly fox, an irreverent foe that actively hinders you from experiencing freedom, peace, and rest—succeeding largely because most people perceive clutter to be a benign thing, instead of a formidable force that works against our peace. Clutter, in all its forms, provides a constant low-grade resistance to our ability to move forward. If it feels like your life is working against you, it very well might be. Some things need to be carried (and I am not saying that even a simplified life isn’t a lot of work), but the weight of what you carry needlessly (or store or manage or shuffle around) robs you of time. It steals away the lightness of your spirit and weighs you down, making everything in your life more discouraging than it was ever intended to be. I’m talking about the clutter around your house, and the emotional baggage in your soul. For many people, simplicity is about physical spaces being tidy, about homes being sparsely decorated and nicely designed, or it might be about having an open calendar or living successfully on a frugal budget. All of these can be true, but I would assert that they are an incomplete picture of what soulful simplicity really is. It is the thoughtful, intentional allocation of your time and attention to whatever you are responsible for, but soulful simplicity also encompasses deeper, intangible things that affect the outer, visible things in life. It speaks of the structure and the strength at the core of your existence. It is a methodical process of clearing away everything extra (inside your heart, and inside your home), eliminating whatever is unnecessary so you can see clearly what has been left untended that needs to be dealt with in order for you to find true rest. Everything I have learned about soulful simplicity is born out of this invitation that Jesus offers to anyone who will listen. Soulful simplicity is an invitation to recognize that the time and attention you give to any task or endeavor is a valuable commodity that should not be tossed around haphazardly. Without an effort to hold space for the most important things in life, essential things can be quickly overrun by other demands and distractions at a cost that many people sorely underestimate. Living deep in clutter and emotional baggage is something like living in the weeds. Many people spend all their energy trying to chop the top off the weeds. Pursuing true, deep-hearted simplicity helps you to pull the weeds out by the roots and begin unearthing the riches of abundant life in God, recognizing that you can actually do something about the cycle of over-stuffed, over-filled, overwhelmed life you have. The pursuit of soulful simplicity means that I examine closely every aspect of my life in order to make deliberate decisions about what I give my energy to. It is a perspective, a filter through which I strain everything that flows through my life, so that debris that doesn’t belong or isn’t helping me, is weeded out. Simplicity is a deep inward journey toward wholeness that turns itself outward, and within time has made my home a place of sanctuary and my family relationships ripe for peace, connection, rest and adventure. 10 Comments → What is Soulful Simplicity? I loved this post. I often feel when reading words that my soul desperately needs I have a sense that they are blowing past me and I need to read more carefully to let them sink in. That is how I felt reading this…”This is stuff you need…slow down and let it in!” Thanks Friend! I hope you find your way to the kind of peace I’m talking about Jen. I am so thankful for your friendship! I love the verse you quoted for this post. It has been my verse for homeschooling this year. I can relate to pretty much everything you said about living in the weeds and experiencing the constant low-grade resistance. I am so looking forward to reading the rest of your series! Thanks so much for your comment! I am glad to have connected with you on Instagram and hope we become more acquainted there. Hi Emily! Nicole (Curry) here. I loved this post! It was like I was reading some of the very thoughts I’ve had. Wow! I’m really looking forward to reading more of your beautiful thoughts about the idea of simplicity. I was one of those people who always thought if I could get x, y, and z done then this will all work out or be what I hoped. I was wrong, I know it’s deeper. I know it is a simplicity that is from the only One that can give us rest. Anyway, you have a beautiful family. Enjoy this great day! So nice to hear from you Nicole! I’m glad to know you are following along and I hope you find a lot of encouragement in this series. Thanks for leaving a note 🙂 How is your family? This post is rich with thoughts to ponder and apply in my life. Your image of just cutting the tops of weeds is indicative of how we try to minimize clutter and resolve issues ineffectively. Thank you for finding time in your busy world to write meaningfully. Thanks for reading Carol. Honestly, even just hearing from a few people that they are encouraged makes it very easy for me to put some of my energy here. I appreciate you! Thanks for taking the time to tune in, Kortney!